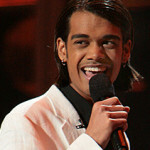 Soon after he styled his shaggy locks into a mohawk/faux hawk, American Idol contestant (of Indian origin) Sanjaya Malakar has received a bizarre proposition from the food chain, Kentucky Fried Chicken (KFC). He can enjoy a free lifetime supply of KFC’s Famous Bowls, if he sports a bowl haircut on stage. Here is the open letter from KFC’s president to Sanjaya Malakar. “Congratulations on catching America’s ears…and eyes. Over the past month, you’ve wowed the world with your original performances. And, your ever-changing hairdos have made you almost as famous as KFC® Original Recipe® Chicken and Colonel Sanders himself. On behalf of Kentucky Fried Chicken®, I want to serve up to you a tasty offer. If you don a bowl hairdo during one of your next nationally televised performances, KFC will grant you a free lifetime supply of KFC Famous Bowls®. We’re sure America will be as ‘bowled-over’ by your take on this classic look as they are by our KFC Famous Bowls. From wavy to Mohawk to now the classic bowl – who knows, your bowl cut could start a trend as big as KFC Famous Bowls, which consumers ranked as THE most memorable new product of 2006.